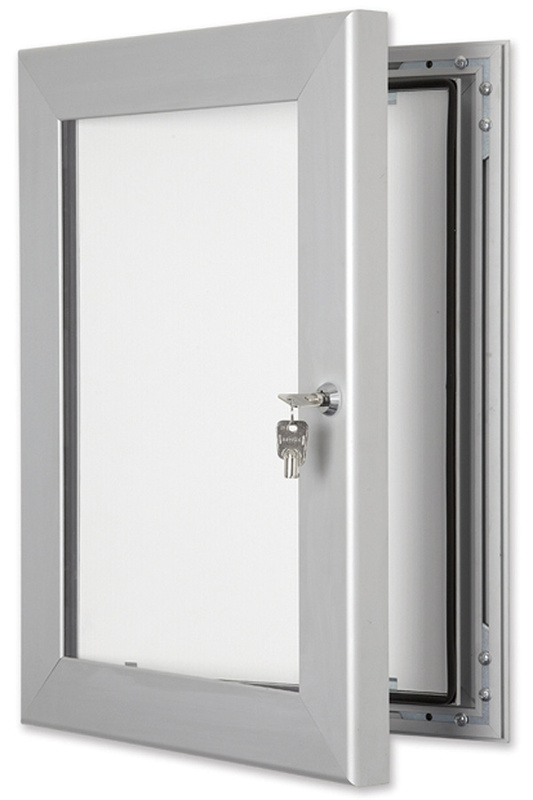 This external notice board is our highest specification lockable notice board, ideal for outdoor locations where a high level of security is required. With a 55mm extruded aluminium frame in silver anodised finish this notice board is available in 6 sizes. This wall mounted notice board can be hung in either portrait or landscape orientation. It has a door stay to provide support when the door is open. . It comes with a choice of interior finishes - correx (for use with blutack and tape), magnetic and pinnable (grey, red, blue and green). Ideal for schools, colleges and any outdoor location. Please note: Please read specifications and sizing carefully prior to ordering. All pinnable and magnetic interior finishes are made to order in the UK to your specification and options chosen and therefore cannot be returned unless faulty.